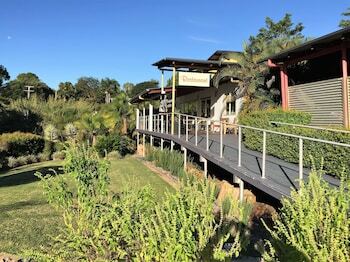 Located in Woombye, Red Bridge Motor Inn is in the historical district, a 3-minute drive from Queensland Zoo and 13 minutes from Aussie World. Featured amenities include luggage storage and laundry facilities. Free self parking is available onsite. Located in Casino, Discovery Parks Casino is within a 5-minute drive of Casino Golf Club and Casino Folk Museum. The front desk is staffed during limited hours. Free self parking is available onsite.